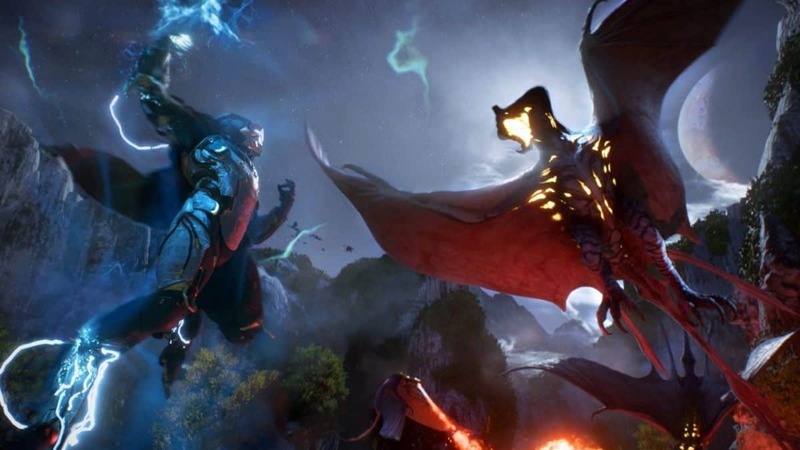 A report suggests that BioWare is using Anthem’s codebase to create Dragon Age 4 under the leadership of Mass Effect’s Casey Hudson. You might be wondering how the next Dragon Age would work if it’s being built on top of the base from a game that has not been doing so well lately. Bioware’s Anthem faced disappointment from fans after seeing a major graphical downgrade from the E3 trailers to the actual gameplay. After that, there were some issues with the loot system, we went into more detail on that here. And lately, there have been various connectivity issues popping up as well. If BioWare uses Anthem’s codebase for the next Dragon Age, wouldn’t that just mean that Dragon Age 4 will have problems as well? Well, not quite. It could potentially make Dragon Age better! The strategy here is to keep testing out various gameplay mechanics and features until the developers find something that works well. For example, when BioWare was developing Anthem, the development team took years to decide whether or not the game should have flying mechanics. Bioware’s last Dragon Age game, Dragon Age Inquisition did great overall and if Bioware somehow can manage to keep that direction, we can definitely have a great Dragon Age game in the series. Casey Hudson, known for his work at multiple BioWare video games, and mainly working on the Mass Effect trilogy as game director, has returned to BioWare for the development of Dragon Age 4 so that is a plus too. After the whole Anthem Debacle, it’s pretty evident that EA and Bioware need to open their eyes and not take fans just for granted. Even if the next Bioware game is not Dragon Age, the quality standards should be met. Using Anthem’s existing codebase for Dragon Age 4 might just also allow BioWare to make more patches for Anthem and address fan feedback. It will also make sure that Dragon Age 4 is stable enough and the same problems don’t occur once again. While we do hope that Bioware will fix things if Anthem’s codebase is used however, if it can’t work, it shouldn’t be forced as it could ultimately destroy another fan-favorite franchise. Dragon Age 4 Teaser trailer has already been released so we do expect to appear at E3 2109. The name of the Next Dragon Age game hasn’t been finalized yet so DA4 title is sort of a placeholder for the time being until the official name is confirmed.